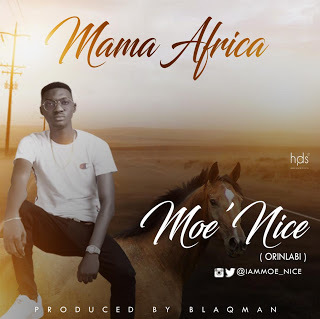 [Music] Moe'Nice (Orinlabi)- Mama Africa "Prod. Blaqman" Teeloaded || Nigeria no #1 Entertainment and music portal : [Music] Moe'Nice (Orinlabi)- Mama Africa "Prod. Blaqman"
Home » Music » [Music] Moe'Nice (Orinlabi)- Mama Africa "Prod. Blaqman"